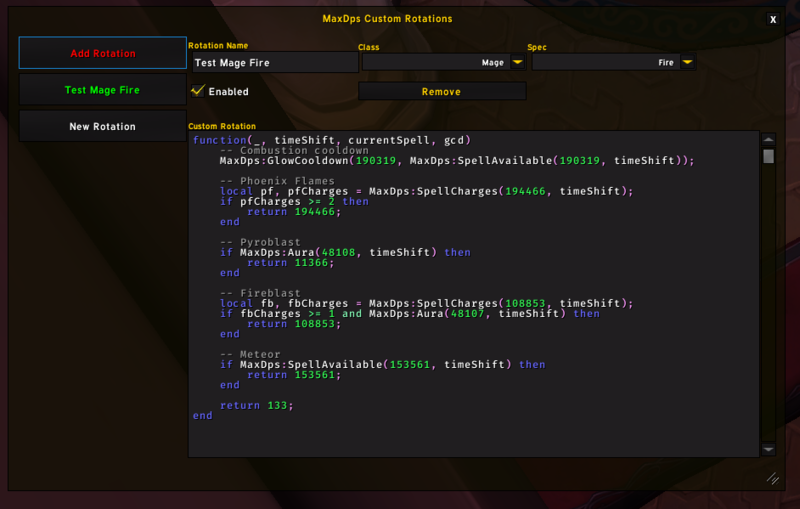 Custom Rotations is a new feature that came in 7.2.5 (addon version, not game version) which allows you to write custom rotation in game without needing to reload. There can be only one active rotation at the time per Class + Spec. You can swap them by disabling/enabling. No need to remove them. Click red "Add Rotation" button.